Our feeder takes charge of feeding for you! 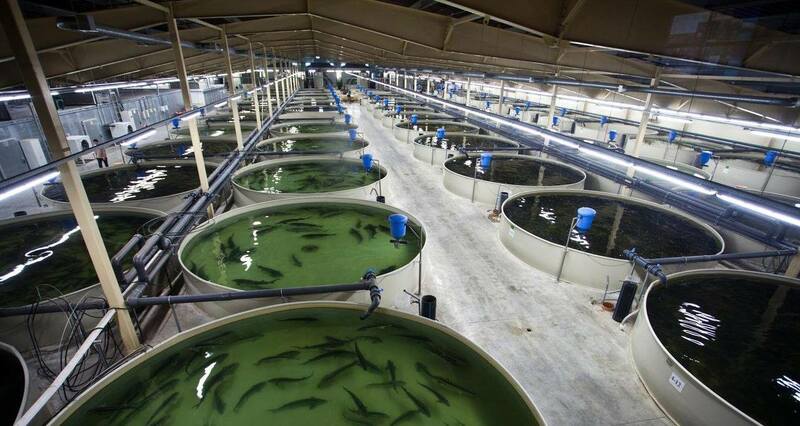 Aquaculture offers almost unlimited possibilities. With our FFAZ Feeding System your fish livestock is fed fully automatically. Due to the even feeding duration and amounts the water pollution is reduced and the filter system of your Recirculation Aquaculture System (RAS) is more relieved.A modern Aquaponic system is optimized by our automatic feeding solution. Hence you may use the free time to e.g. concentrate on your plants. Breeding tanks, pilot plants, pond-farming, streamlined breeding tanks, aquaculture in natural waters, lakes, fish pond, interior conditioning, closed recirculation systems, intensive shrimp aquacultures, garden pond, test facilities…. Due to the continuously variable speed of the scattering motor the scattering radius can be adapted to your respective requirements. 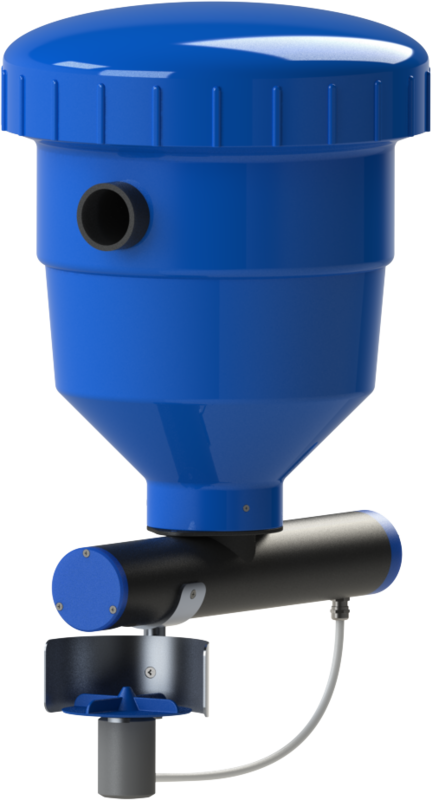 The screw conveyor inside the feeder feeds in intervals which reduces the stress during feeding and favors a uniform growth of your fish. Being compatible to a wide variety of controls the FFAZ systems can be operated worldwide. Thus, an existing control may be used to control our feeders. Please contact us directly. The reliability and the advantages that come along with our feeding system will pay off after just a short period of time. Feeding with Artemia Salina is commonly applied in fish farming and especially in breeding juvenile fish. 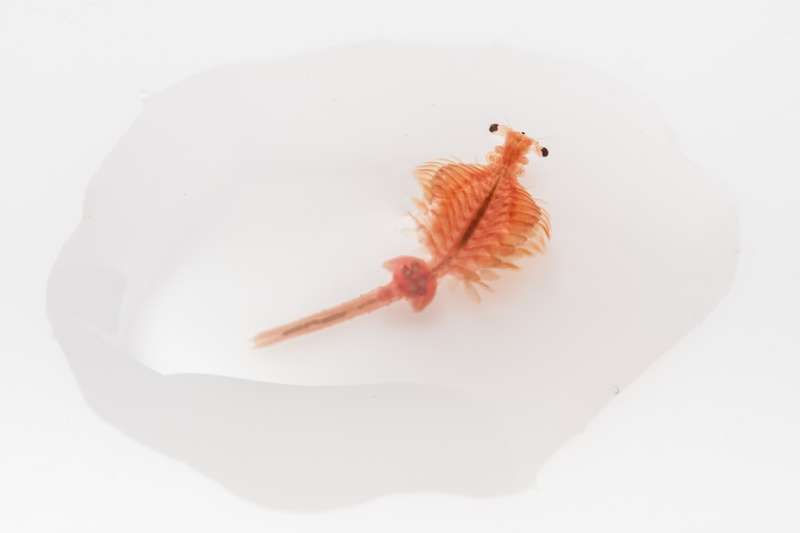 Due to their high energy content Artemia are becoming more and more important in rearing. We offer the possibility to automate the time-intensive feeding process. The special feature of our Automatic Feeder Artemia is the active ventilation of the container. This results in a homogeneous distribution of the Artemia in the water.